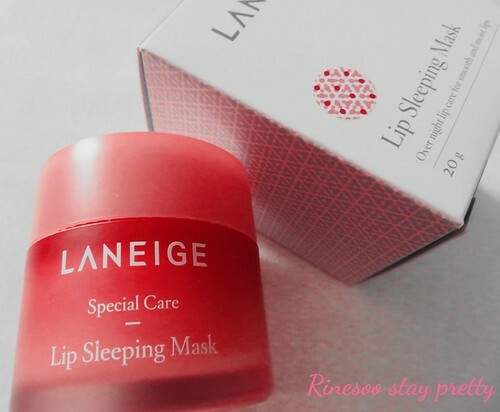 I don’t really buy products from Laneige since it’s quite expensive but this lip mask is easy to find on Ebay for less than 15€ so I went for it. Anyway I have never really seen any bad reviews about this brand so let’s see about this one. 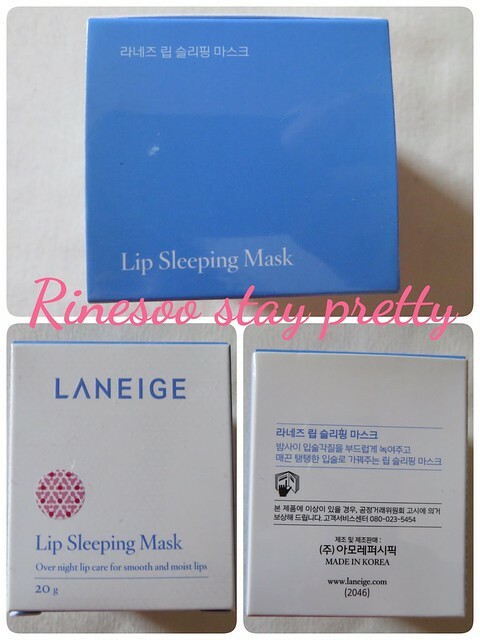 This lip mask comes in a very simple but classy white and blue box. 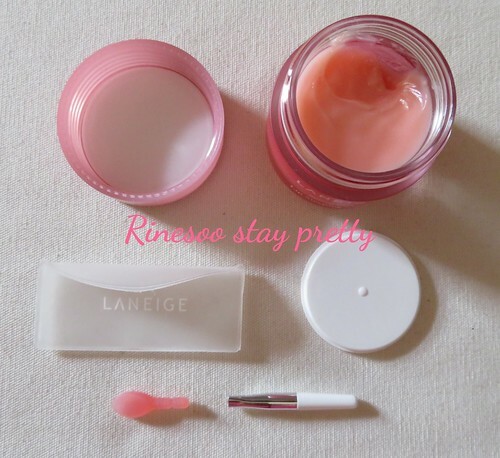 The content of the box is the lip mask in a jar, an applicator and the instruction. The jar makes it look like it’s in glass but it’s actually in plastic. The size of this is also pretty handy, so if you want to take it with you during your travel, it would be alright. The jar is in this nice pink berry color as the mask itself is berry scented. I actually like the smell of it, as it’s not too sweet or candy like. This contains 20gr, it might not sound like much but actually a jar will last you months and months. I opened mine last year and I’m not even half way done. 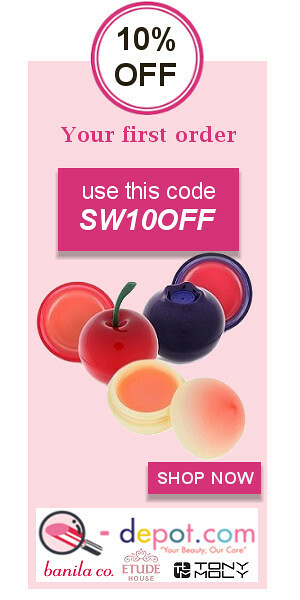 As a lip mask you are suppose to apply it before going to bed and spread it on your lips with the special applicator. In the morning you remove the mask and your lips should be left moisturized. I really liked this applicator as it was petal like shaped and was super soft. But I broke mine after a week as I would always clean it up after each application. I didn’t realize I was pulling on it too hard, so now I just apply this mask with my finger… Goodbye hygiene. Try not too apply too much as a little really does go a long way. In the morning when I clean my mouth with water, my lips do feel soft. This really does help when you have dry lips in the winter… But I do have a little issue with this mask. For some reason whenever I use this mask, I always feel like so much dust clinged onto my lips while I was sleeping. I always need to cough in the morning and clear my throat because just feels scratchy. When I do not use this mask, this feeling is gone. Yes my lips are soft and moisturized, but then my throat is itchy. This lip mask does the job and I really like the scent of it. I wish the applicator was sturdier as I did enjoy applying the mask with this petal shaped applicator. I really don’t know when and how I’ll finish this mask as I feel there is so much in a jar. You could definitely use this as a glossy balm during the day, to keep your lips moisturized during the day. I don’t think I would buy this again because it’s so hard to finish one… Let me finish first the one I have and we’ll see from there! Would I recommend it? I would still say yes as this did help me heal my chapped lip during the cold, and to avoid having chapped lips after. If you want to find this mask, I definitely recommend you going on Ebay, as it’s usually in auction at a very affordable price! Right! So paying 15€ eur is worth it because it last so long…. Mayb we should sell the rest in smaller containers to be able to finish it! Ahahaha ah ok isn’t that a special edition from last winter? Is it as scented as the berry one? 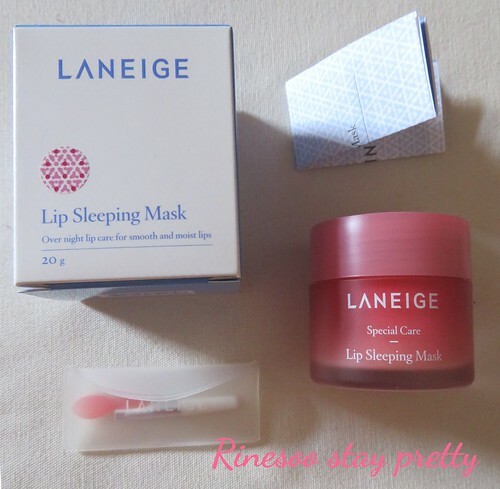 I like your product Laneige lip sleeping pack. It’s looking interesting & easy to apply.